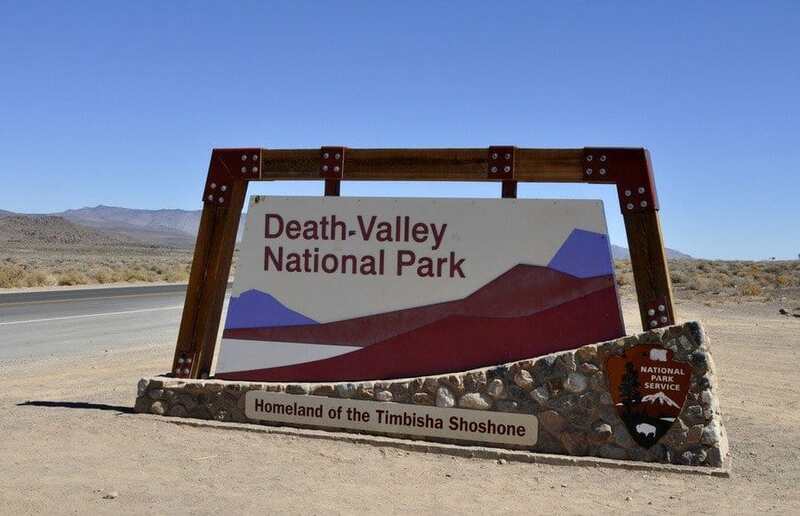 The drive through Death Valley National Park was yet another highlight along the route of our South West US road trip. In complete contrast to the majestic granite cliffs, verdant pines and babbling streams of Yosemite, Death Valley possesses a sun-bleached grandeur, and desolate sense of vastness. There really is nowhere else like it on earth. We filled the car with fuel and we filled ourselves with a massive breakfast of eggs and hash browns, oddly with a slice of watermelon garnishing the plate. We stocked the cooler box with ice and bottled water, slapped on the suncream and studied our trusty paper map – GPS and mobile signals aren’t reliable in the desert. Leaving Lone Pine, where we’d stayed overnight, we turned onto heat-hazed route 190, a scenic byway, which seemed to stretch into infinity and we entered the furnace of Death Valley. 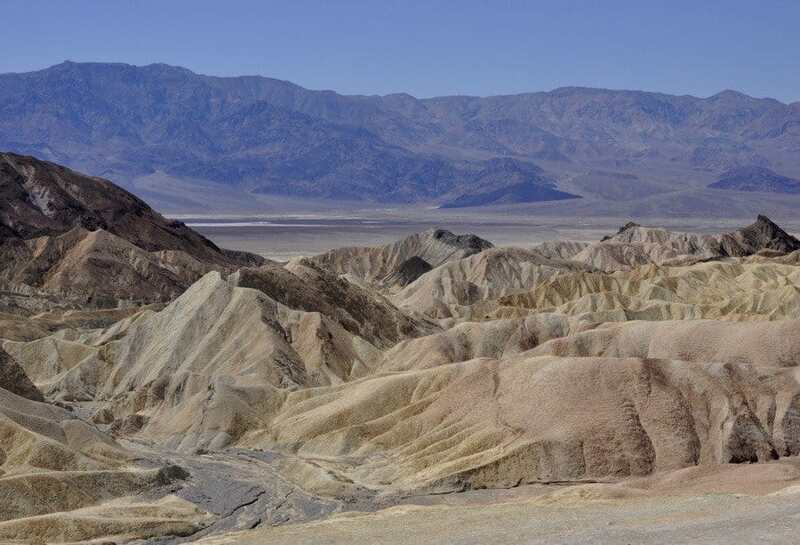 Death Valley is an area of 13,518 km² where the earth’s crust which has sunk leaving a flat basin. 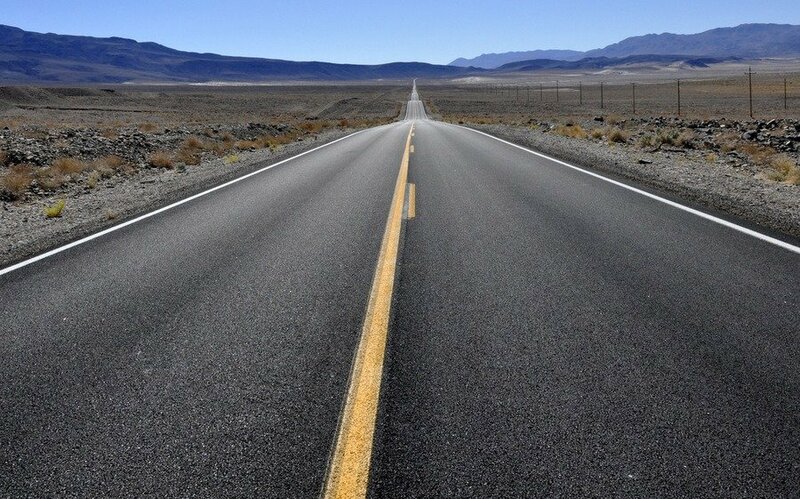 It lies partly in California and partly in Nevada, USA. You might think it’s one huge expanse of heat-scorched landscape and barren emptiness framed by craggy mountains. And yes, there are areas of parched, cracked earth but on taking a closer look you’ll find so much more. There are mirrors of sparkling white salt deposits, multi-coloured lava formations and vivid rust and orchre striations in the rock face. Splashes of green where small shrubs and plants thrive prove that there’s moisture found in the valley. 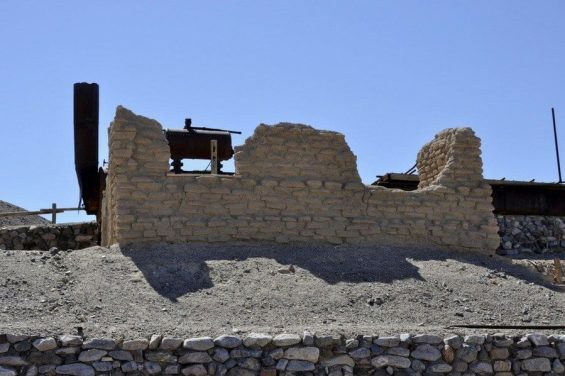 There’s history in the valley too; remnants of the life led by pioneers, prospectors and the borax miners. 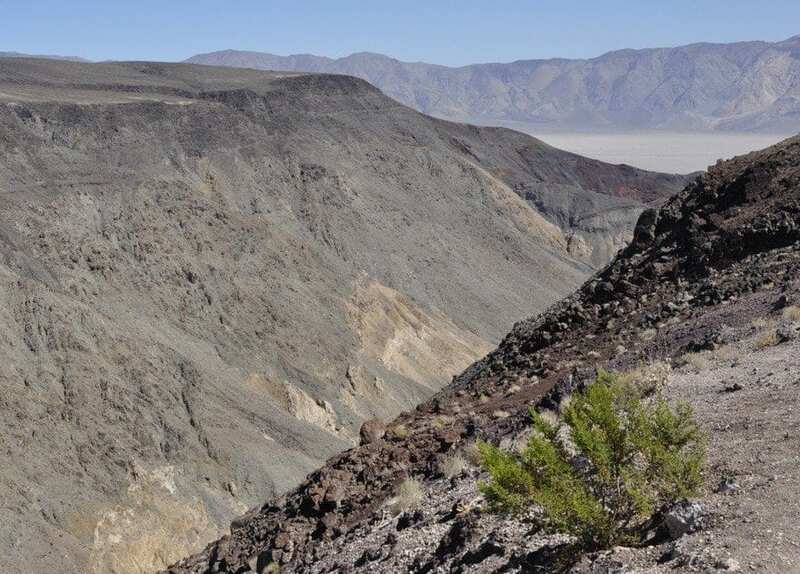 Mustard Canyon, which is just north of Furnace Creek, (where we hit 106°F) is worth a stop to view the ochre rock formations and the nearby ruins of the Harmony Borax Mine. 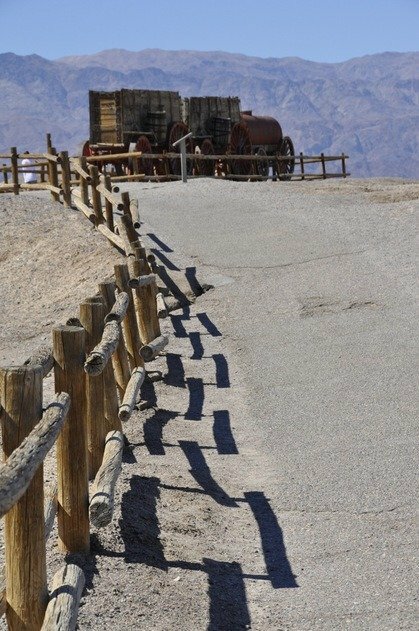 The heat hit us full on as we made our way up the hill to the old mine and the wagon cart once pulled by a twenty mule team. It was unimaginable to think that people worked the mines in this heat. 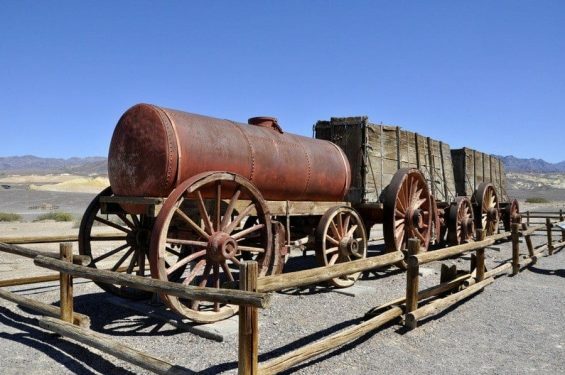 Borax, known as ‘white gold of the desert’ was the most profitable mineral to come out of Death Valley. We planned our route through the valley to take in some of the highlights – just a few. It’s a huge place and although some of the attractions are close to each other some are only accessible by rough roads which zig-zag across the valley’s peaks which means although somewhere is only 10k away it could take an hour to get there. 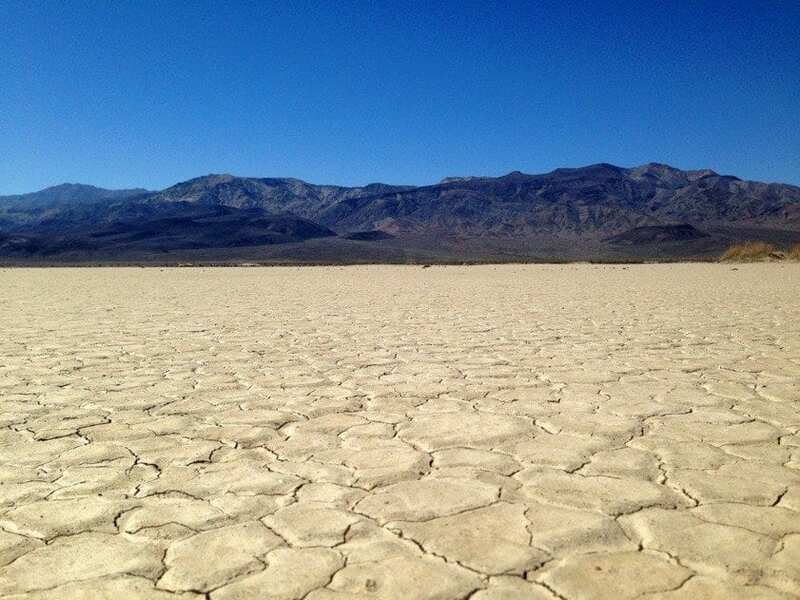 Badwater Basin is the lowest point in the U.S. The vertical drop from the top to the floor of Badwater Basin is twice the depth of the Grand Canyon at 282 feet below sea level. By far the most spectacular landscape we saw was Zabrinskie Point with the view of The Badlands and its pastel pink and yellow tinted rock formations. 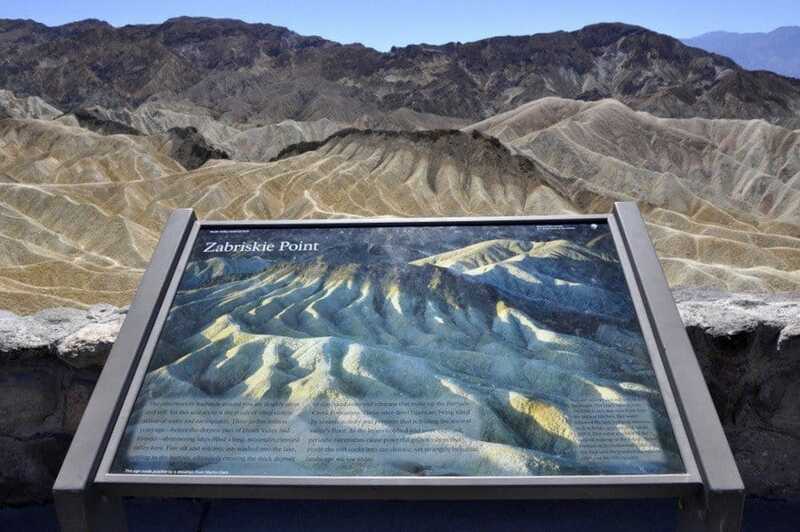 Zabriskie Point is part of Amargosa Range well known for it’s eroded landscape. 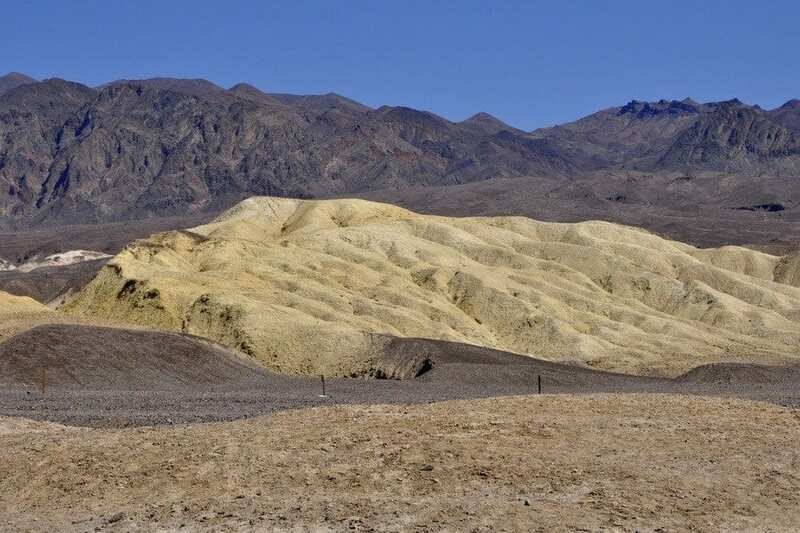 It’s made up of sediment from Furnace Creek Lake, which dried up millions of years before Death Valley came into existence. You definitely have to do a lot of driving to cover the entire park, so much amazing landscape to explore and also photograph which was wonderful to shoot in the park. I’d have liked to spend more time there – such amazing landscapes and we only got to see a few of them. What a fabulously dramatic landscape (great pics by the way). I’m not surprised you started this drive with some trepidation. The thought of breaking down there is quite scary but I’d still love to drive it myself one day. We were all a little nervous of breaking down although none of actually said until afterwards! Looks like an incredible landscape and no doubt an interesting drive – don’t think it’s somewhere I’d like to break down, though! Did you see many other people on the roads? It was interesting and ever-changing throughout the drive and, yes, there were quite a few other people around. It is very surreal judging by your magnificent photos. I can imagine the drive is very interesting. There was so much to see that we didn’t have time for. If I get back to that part of the world I’ll definitely factor in an overnight stay so I can explore more. It was desolate and parched in places and, unexpectedly colourful and filled with plants in others. 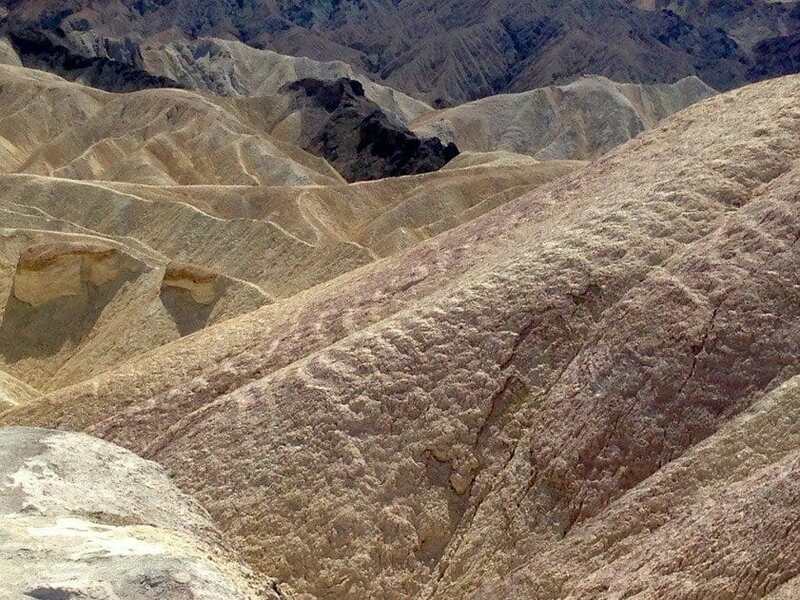 Death Valley was full of surprises. quite incredible scenery I would love to visit – I really can’t imagine 134F, 108 is hot enough! 108F was more than enough for me – just walking from the car a few metres really left me feeling hot and parched. 134F – no way! 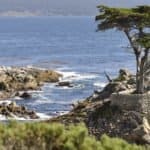 Wow, those photos are amazing – what an incredible drive, although not one to be taken lightly! 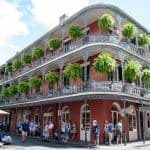 It was a fabulous drive – I’d have liked to have stayed over for the night and explored a little more.